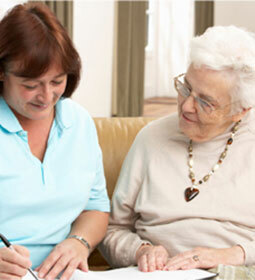 What is the agency’s responsibilities for screening and employing in home caregivers? We do comprehensive background checks, which includes nationwide criminal, driving, and sexual offender registry. Does your agency carry worker’s compensation? Yes! The purpose of a worker’s compensation system is to provide financial and medical benefits to the victims of ‘work-related’ injuries regardless of fault. The cost of this insurance is borne by the agency. Is your agency responsible for liability insurance? Yes, the client is free of any liability while our aide is in your home. How do I handle the long-term care insurance process? Let us help you get started and we can submit all future claims.